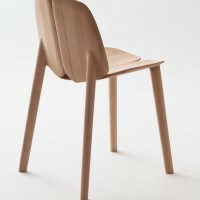 Ronan and Erwan Bouroullec have designed the Osso Chair for Italian manufacturer Mattiazzi. Working with Mattiazzi is comparable to work with an organic farm. 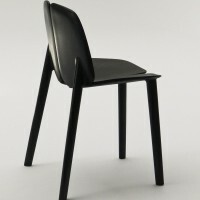 While being a small, family-owned company that has been manufacturing chairs for others since about forty years, Mattiazzi decided to do less yet better. By using sophisticated CNC set of tools and at the same time a greatly refined manual know-how, Mattiazzi has a hybrid way to consider furniture production. We were particularly interested by the fact that all the equipment is powered by solar energy and that the wood is coming from the surrounding areas to be carefully selected without the use of any chemical treatments. They came back to the basics and this is precisely what piqued our interest and our fascination for the Mattiazzi family’s endeavour. As designers, we feel involved in supporting such valiant microstructures that are always on the edge as they try to adjust to a constantly changing market. 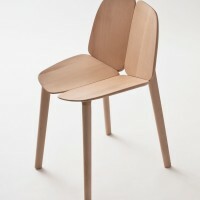 That said, the Osso chair had to be the illustration of what Mattiazzi is in its roots. We designed an object in plain wood but not in regular plain wood, the quality of the wood literally makes the object, like the best piece of meat would make the refinement of a dish. 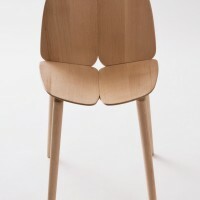 Our intention was to let the sensuality of the wood material – from oak to maple to ash – express itself. 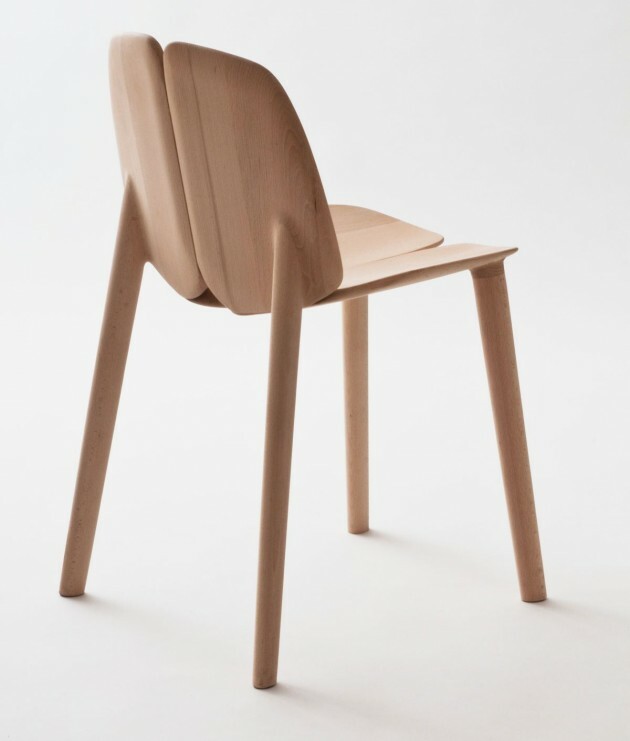 The Osso chair invites to be touched, even caressed as it is extremely sculpted and polished thanks to the use of highly sophisticated digital control equipment. The high-tech assembling system of geometrical wood panels allows a quite singular strength while preserving a design balance of the object. 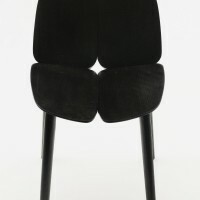 The Osso collection will include a chair, an armchair, a children chair as well as high and low stools. Visit the Bouroullec website – here. 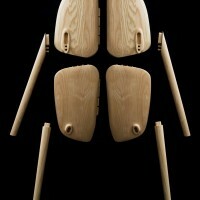 Visit the Mattiazzi website – here.